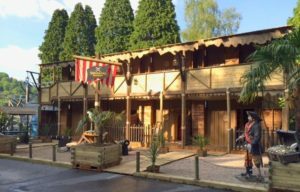 The family business, which has been running for over 40 years has seen great success, and rapid expansion- recently starting work to construct its fourth Theme Park Resort, which is located in Rotherham. Julie continued: “We always aim to give back and support the neighbouring community where possible, we have made sure a huge amount of the investment will go back into the local area. Not only will there be a minimum of 40 jobs created, the hotel rooms will be constructed at a firm just a short distance away in Lymm, Warrington.